Want to get top dollar for your home in the shortest possible time. 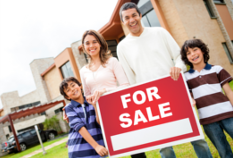 Let us help you with Preparing, Pricing, Marketing, Negotiating and Managing the home sales process. We understand the importance of marketing using web, social networking, email, direct mail and print campaigns to place your home in front of more potential buyers. If you're ready to talk about selling your home, please fill out our online request form and one of our knowledgeable representatives will contact you directly.